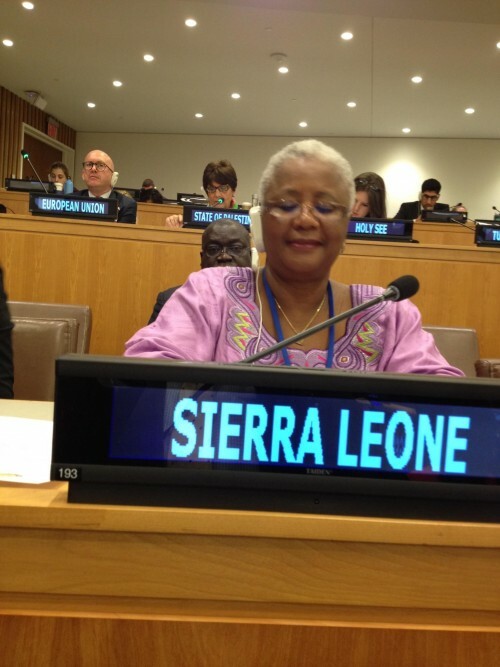 Mrs Strasser King spoke at the 70th session of the United Nations General Assembly’s third committee meeting, on behalf of the African Group in New York this week. The African Group believes that the adoption by the United Nations community of the 15 year global plan of action two weeks ago, was a clear demonstration that the future of humanity and of our planet lies in our hands. The world will be a better place in 2030 if we act together and map the road to truly and inclusive sustainable development, it will be for all of us to ensure that the journey is successful and its gains are irreversible. The Group underscores that the true test of commitment to Agenda 2030 will be the outcome of its implementation. It is therefore our duty to build a better future for all people including women and girls that have been denied the chance to lead decent, dignified lives to tap their full human potential. The Group reaffirms its commitment to the full implementation of this new Agenda. It recognizes that it will not be possible to achieve the set goals and targets without a revitalized and enhanced Global Partnership supported by concrete policies and actions outlined in the Addis Ababa Action Agenda, an integral part of the 2030 Agenda for sustainable development. Sustainable development Goal 5: Achieve gender equality and empower all women and girls; emphasizes the fundamental transformation in social, economic and political roles and relationships between men and women in ways that ensure an equitable distribution of power, opportunities and outcomes. Indeed, the African Common position on the post 2015 development agenda reiterates Africa’s commitment to provide adequate resources to strengthen women’s voices and efforts, ensure full and equal participation of women in all decision making processes, in all governance structures and commitment to build women’s productive capacities as agents of change. In January 2015, the AU Heads of state further adopted Agenda 2063, the Africa we want, it’s a shared framework for inclusive growth and sustainable development for Africa to be realized in the next 50 years. It is an intergenerational mission, an inclusive African strategy to use Africa’s resources for the benefit of all Africans, men and women; equally. The African states realize that sustainable development cannot be realized without peace and security; and peace and security will be at risk without sustainable development. The African Group recognizes that a prosperous, integrated, and united Africa based on good governance, democracy, social inclusion and respect for human rights, justice and rule of law are the necessary pre-conditions for a peaceful and conflict free continent. The Group underscores the need to build peaceful, just and inclusive societies that provide equal access to justice based on respect for human rights including right to development and on effective rule of law and good governance at all levels. The African States have pledged to silent guns by 2020, in so doing, they commit to increase efforts to resolve and prevent conflict including by ensuring that women have a role in peace building and post reconstruction building processes. The Group appeals that women in conflict, post conflict zones and in countries facing sanctions should be accorded assistance needed to strengthen their productive capacities in all sectors that will enable them to move to sustainable patterns of consumption and production with equal footing with women from other countries. Violence against women and girls is a universal phenomenon rooted in persistent discrimination against women and historically unequal power relations between women and men. It harms women’s health and wellbeing, violates their fundamental rights, and impoverishes women, families and societies as a whole. Domestic violence is the most common form of violence globally. We should promote advocacy to eliminate and eradicate all forms of violence against women and girls and harmful practices such as female genital mutilation and child marriage. While violence prevents women from the full enjoyment of their human rights, it is not the only one. Injustice and inequality persist in both developing and developed countries. Women still outnumber men among the world’s poorest people. 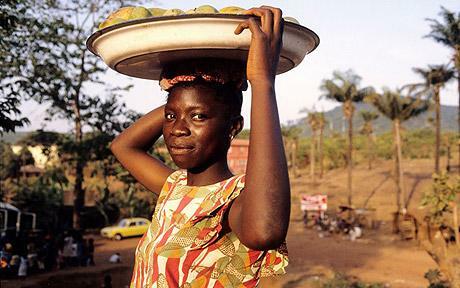 Many women work in vulnerable, low-paid jobs and in the predominately informal sector. The unpaid domestic and care-giving work remains a female realm, limiting women’s opportunities for education, training, employment and political activity. On the other hand, although migration has the potential to foster more equitable, inclusive and sustainable growth and human development for both countries of origin and destination, women with irregular migration status are particularly vulnerable to exploitation, violence and abuse. Movement by irregular means may also increase women’s vulnerability to trafficking. The Group believes that all these factors result in the exclusion of women from the benefits of education and sustainable development, and these place women at risk of violence. The Group appeals that the international commitment in the post 2015 development agenda to provide inclusive and equitable quality education at all levels and to those in vulnerable situations to have access to life-long learning opportunities that help them acquire knowledge and skills needed to exploit opportunities and to participate fully in society, should be a reality. 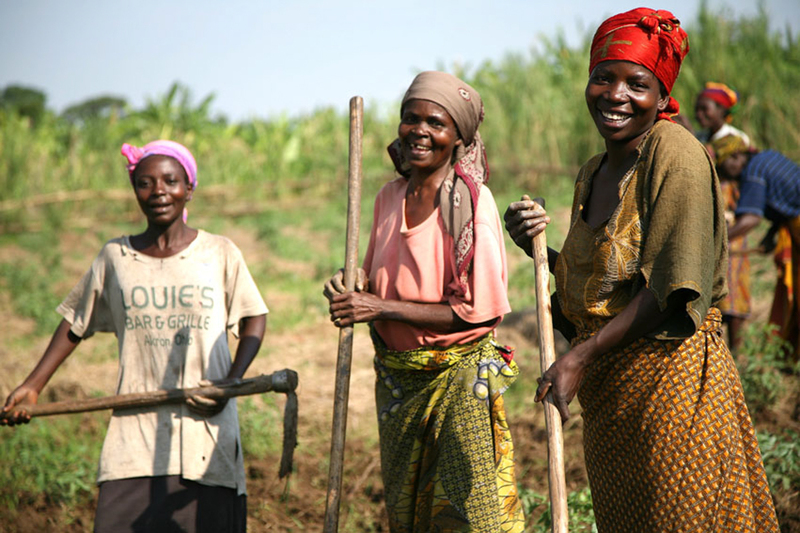 Although in the developing world, women in spite of being farmers, workers, entrepreneurs, service providers, and agents of change, they continue to face persistent structural constraints that prevent them from fully participating in socioeconomic and political life and contributing to the improvement of their circumstances. Women’s lack of access to land, agricultural technologies and financial capital hinders opportunities to diversify their livelihoods or increase resilience in the face of climate change. On the other hand, women’s economic empowerment is also a driver of development that addresses poverty, reduces inequalities and improves children’s health, nutrition and school attendance. African leaders understand that gender equality and the empowerment of women and girls is not just a goal in itself, but a key to meaningful sustainable development and economic growth. A lot of progress has been made by African countries in terms of political participation of women and their economic empowerment through micro-credit programmes and schemes. 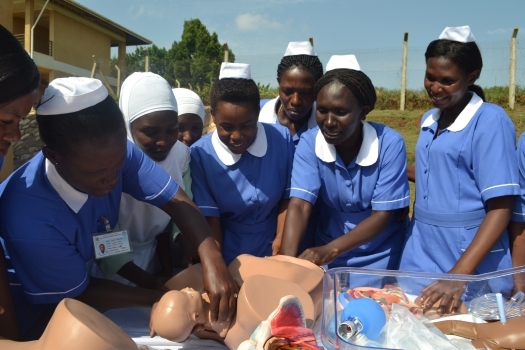 Maternal deaths, which are largely preventable, are linked to inadequate health services for women. Distance from health facilities and availability of health experts remain major barriers in Africa. Inadequate access to portable water, access to proper sanitation and energy devices further worsens the situation of health status of women and girls in Africa. The Group fully agrees to the building of resilient infrastructure, promotion of inclusive, sustainable industrialization and fostering innovation. The Group therefore calls on the international community to fulfill their commitments including transfer of ODA, transfer of technology and access to markets as well as capacity building which remain critical for women and girls in Africa to exercise their potential. And to conclude Chair, the Group reaffirms its commitment to the full implementation of this new development agenda and to other internationally agreed development plans.